Don't forget the Bonham Chamber Network Night on October 26, 2017 from 5 - 7 pm at Rebel Roots Boutique. Tasty food and wine will be available for all. Relax and enjoy the company of friends at the Bonham Chamber Network Night. Sip beverages. Sample hors d'oeuvres . Simply have a good time. All while reaping the benefits that networking brings. Everyone is invited to attend. Work doesn't always have to feel like work! 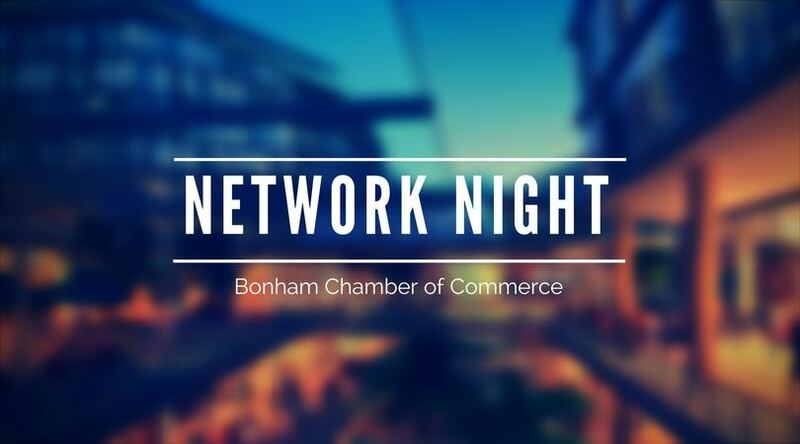 At the Bonham Chamber Network Night it will feel like a casual conversation with friends.